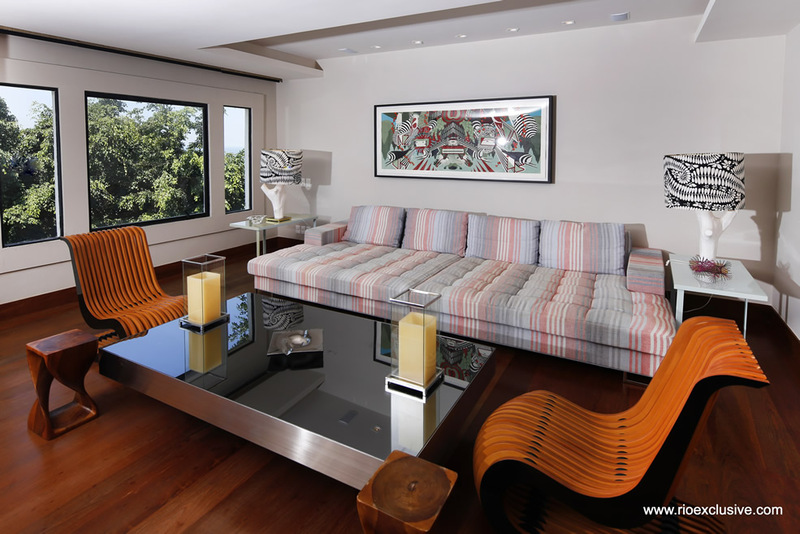 This beautiful villa is situated next to the Gavea Golf & Country Club, at the foothill entrance to the chic neighborhood that is Joatinga. 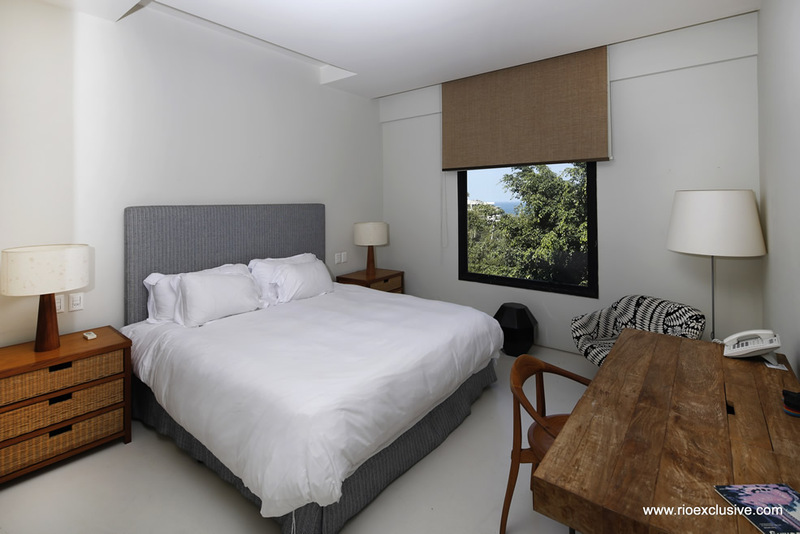 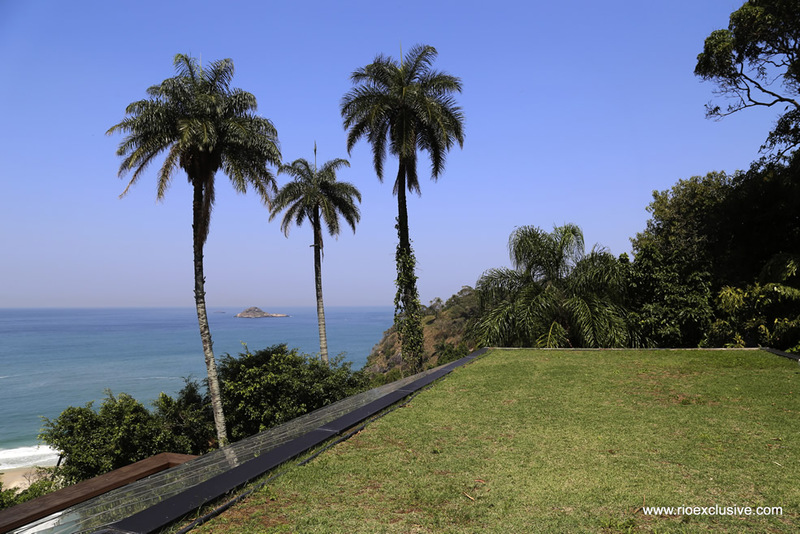 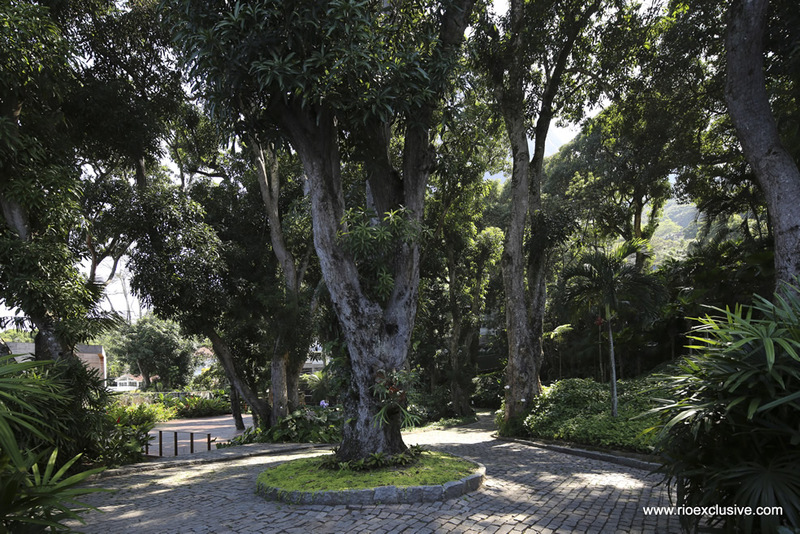 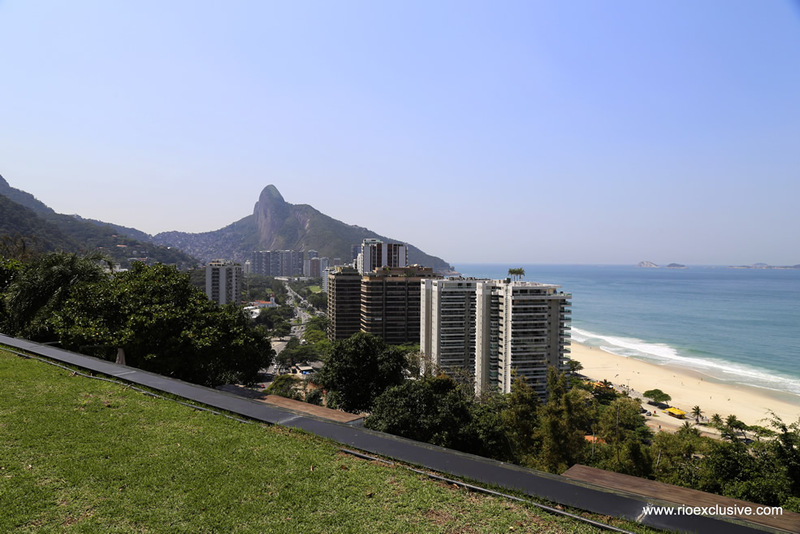 It is located in a gated community with 24-hour security and has classic Rio views that look out over the famous Pepino Beach of Sao Conrado. 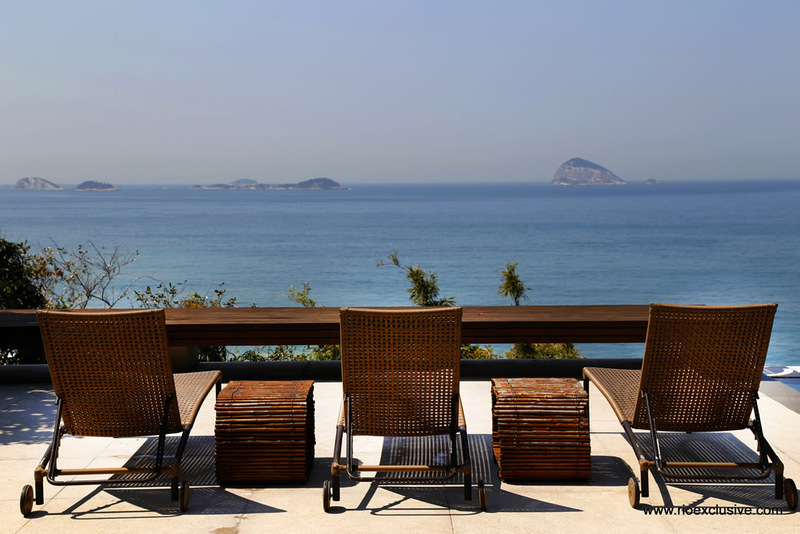 Along with being close to Pepino Beach, there is also the ultra-private Joatinga Beach, which can be accessed only by foot from the mountains of Joatinga. 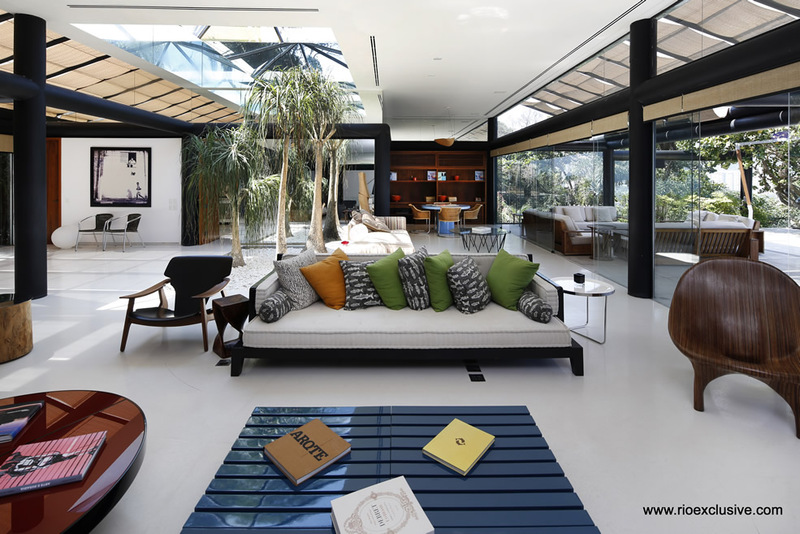 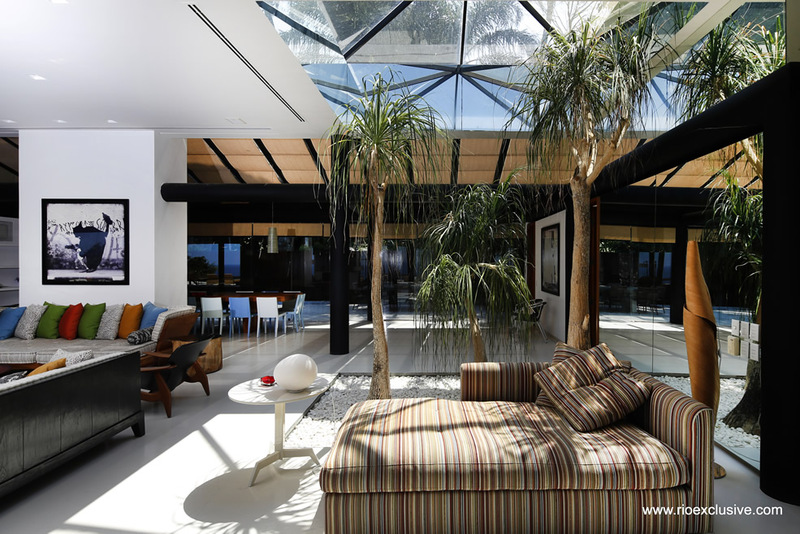 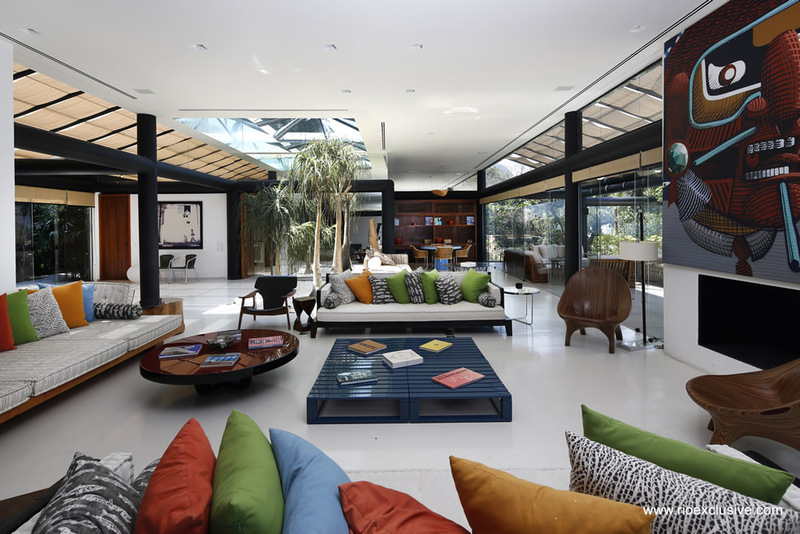 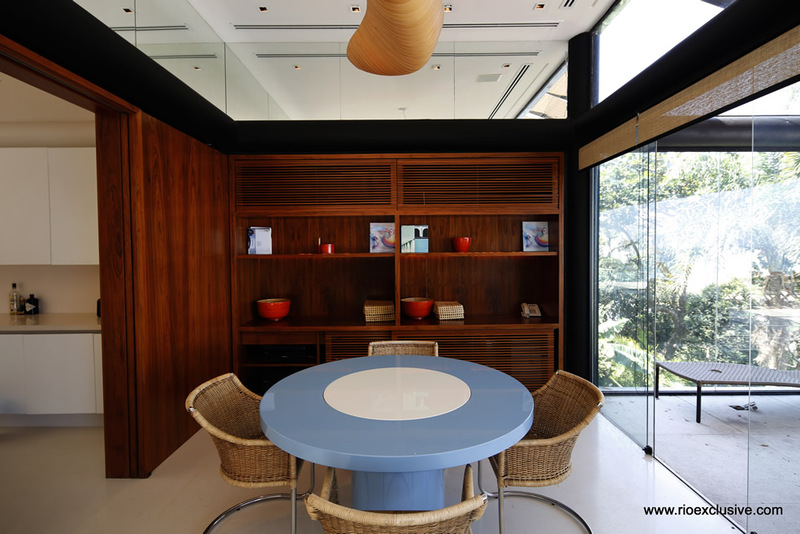 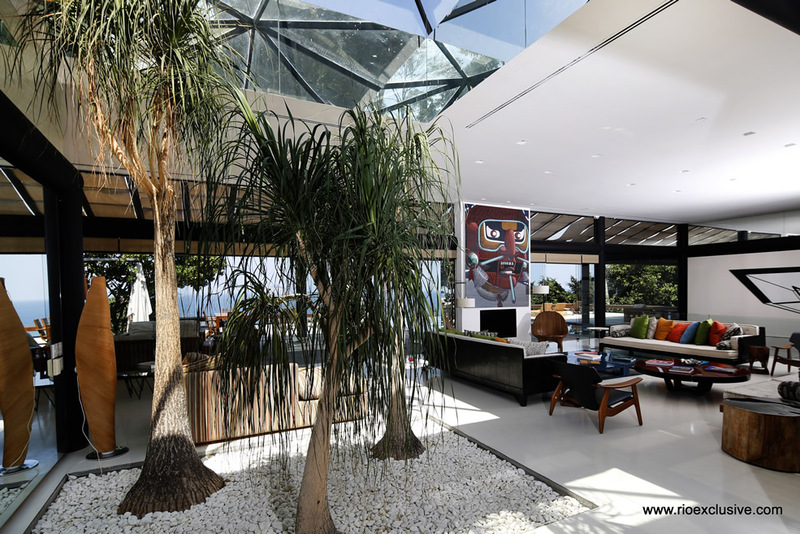 The villa itself is filled with natural light, due to the large glass walls and glass roof and ceiling as well. 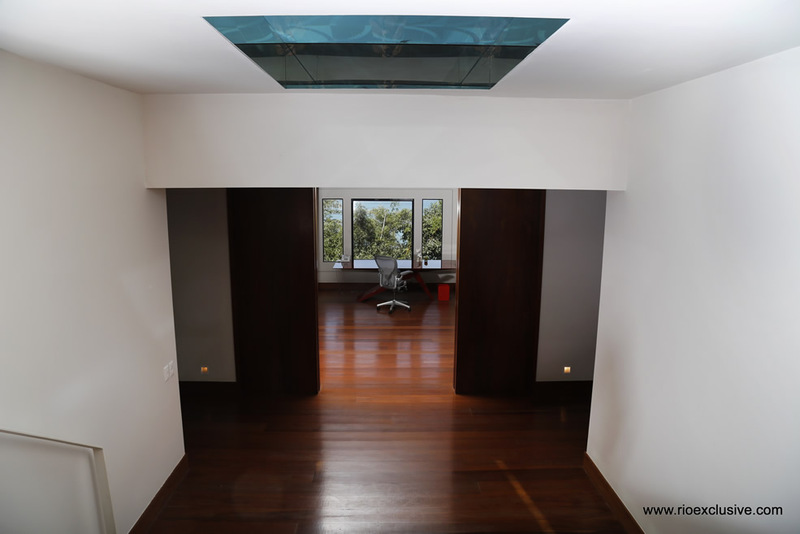 Due to this very unique and innovative design, you have natural light from many different angles, all day, from sunrise to sunset. 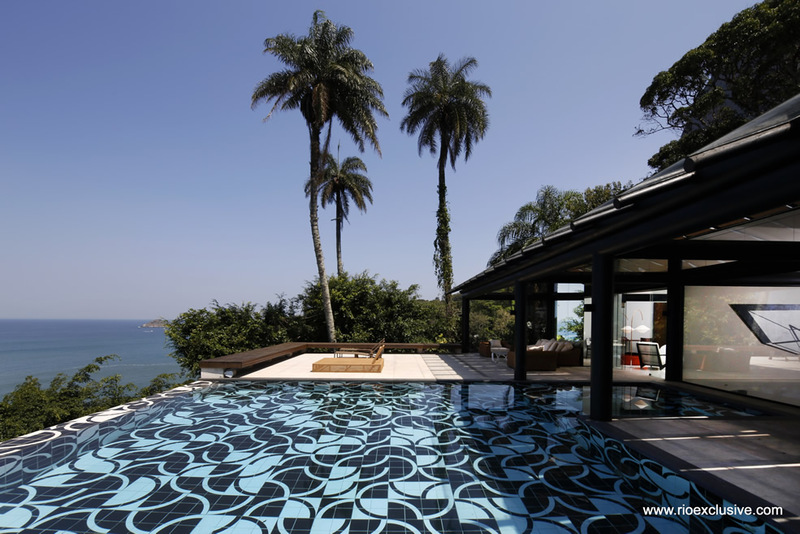 There is also an infinity pool which shares the stunning views of the ocean with the villa. 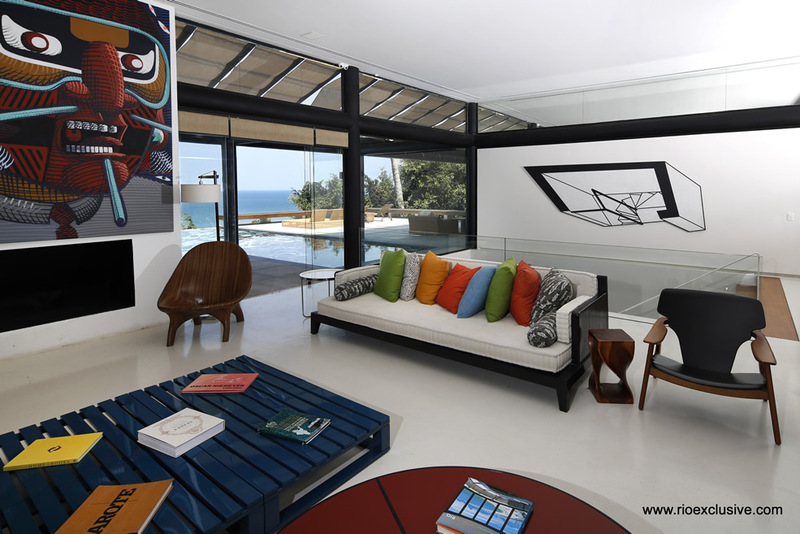 The villa is 900m2, and consists of 3 beautiful suites, finished with a very classic and retro feel. 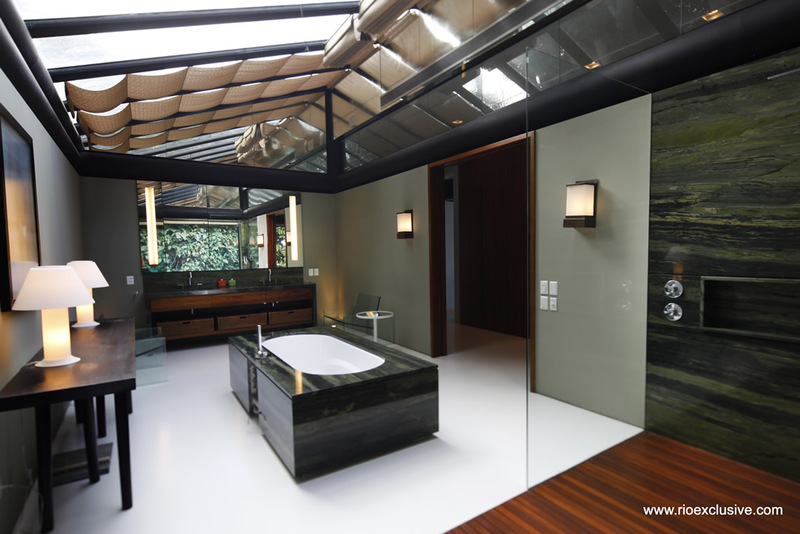 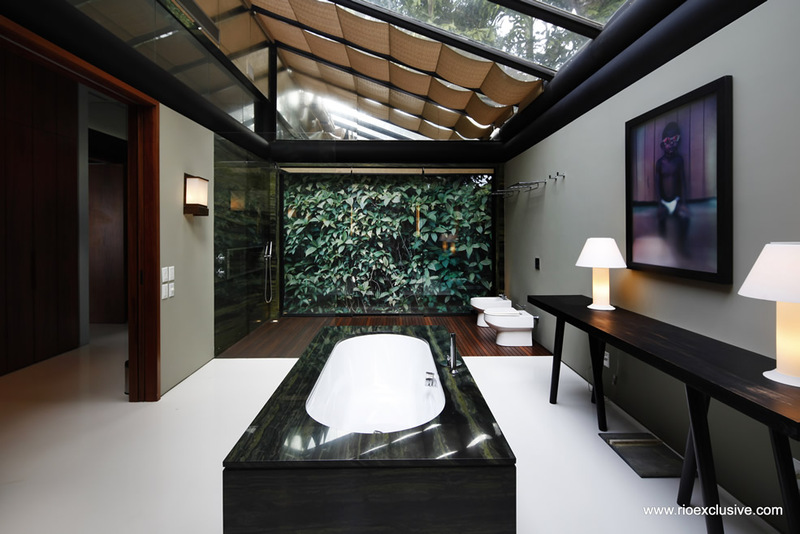 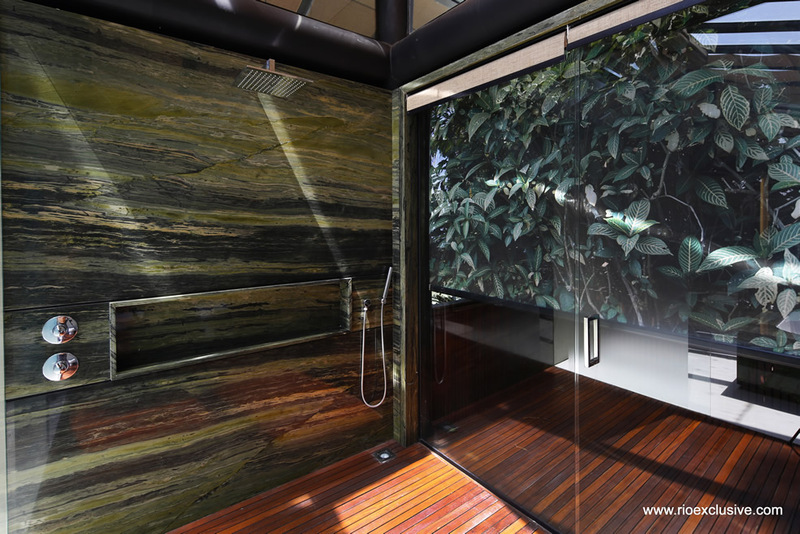 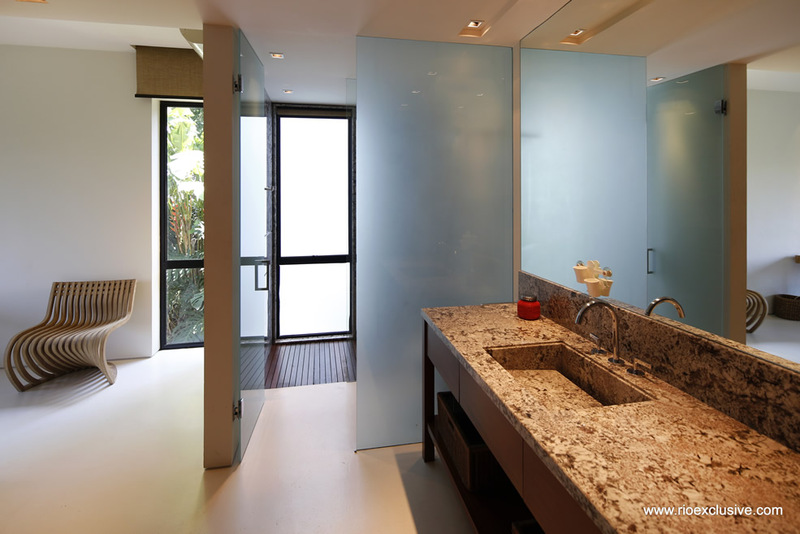 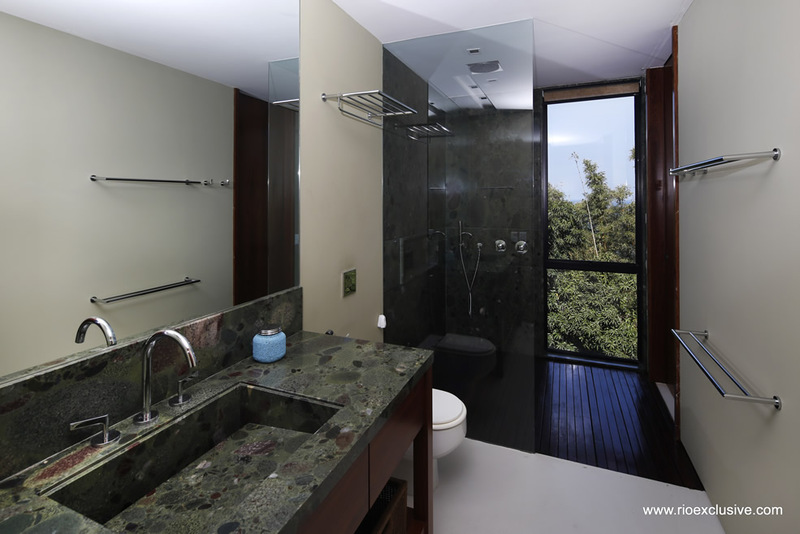 The master bath, with its hot tub, is simply exquisite in its beauty and design, There is an impressive dining room, surrounded by glass, and the tropical plants outside, with the focus point being the custom table built for up to 20 people. 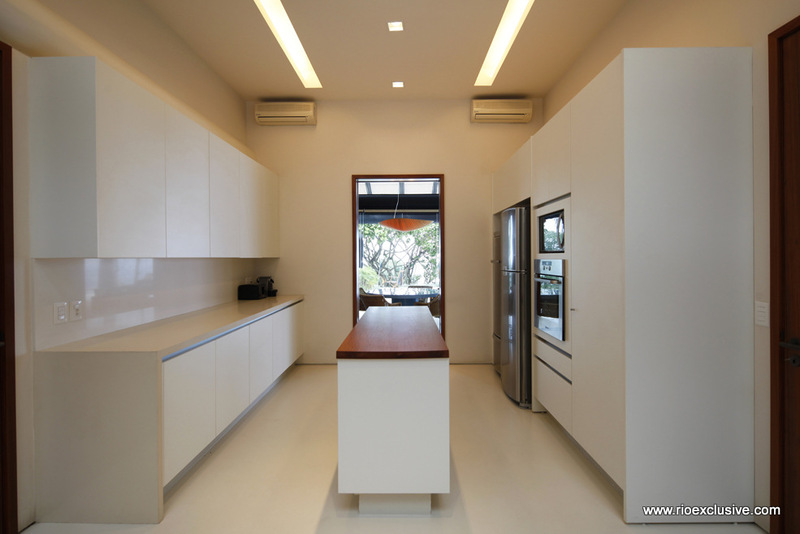 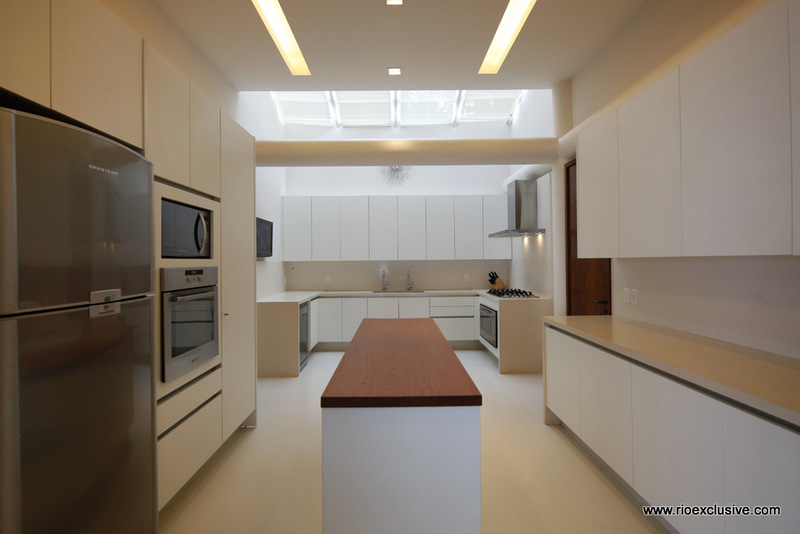 The kitchen is very sleek and modern, with clean lines and state of the art appliances throughout. 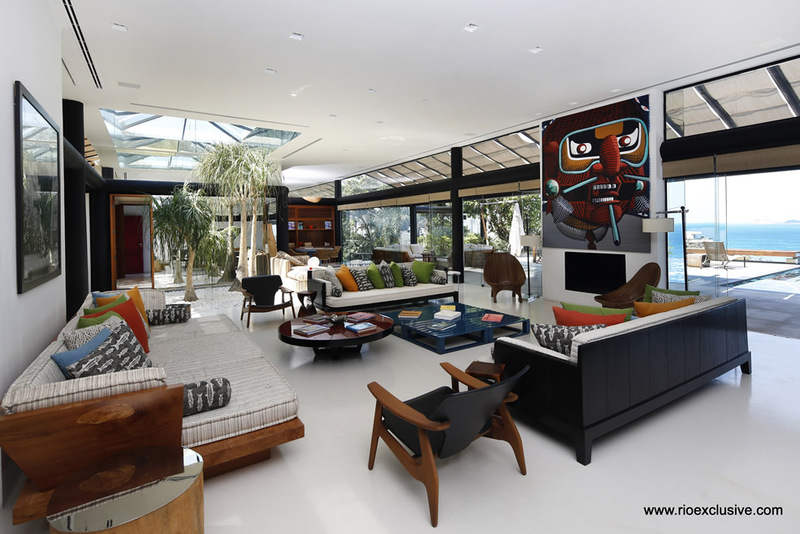 The living room is a beautiful design, with the villa having both this indoor living room, as well as a very large outdoor covered living space, which feels like the outdoor life of Rio and the tropics have entered your home. 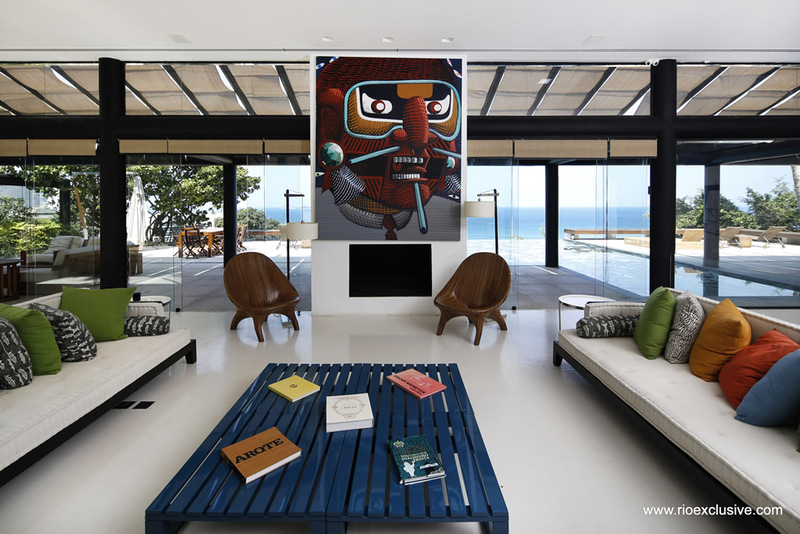 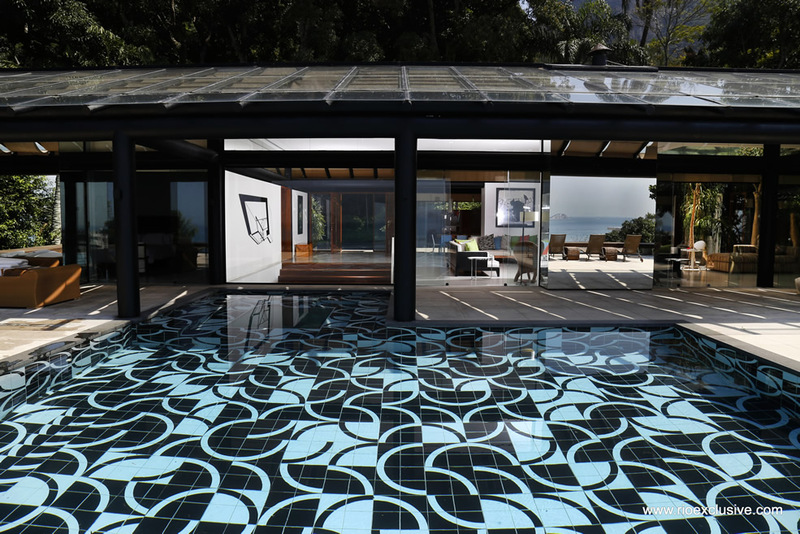 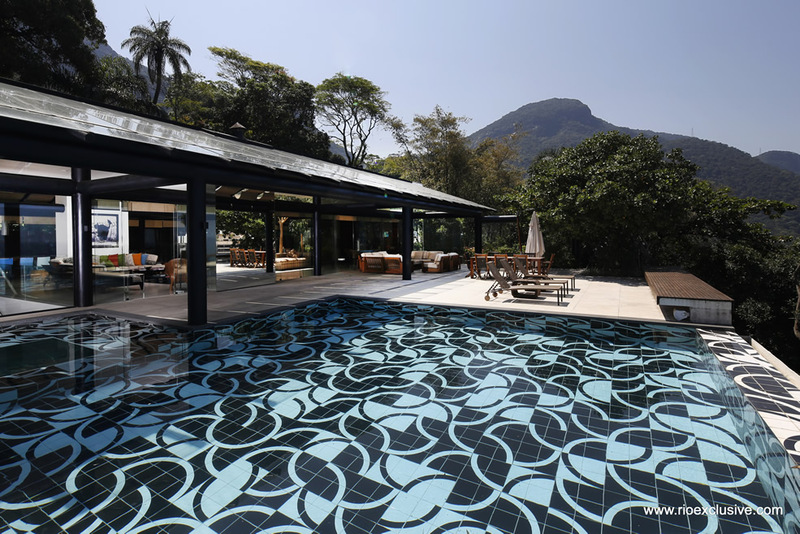 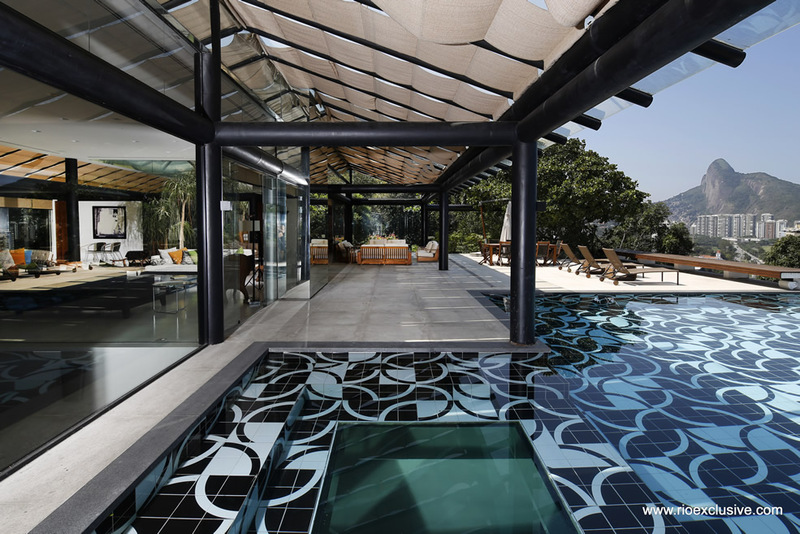 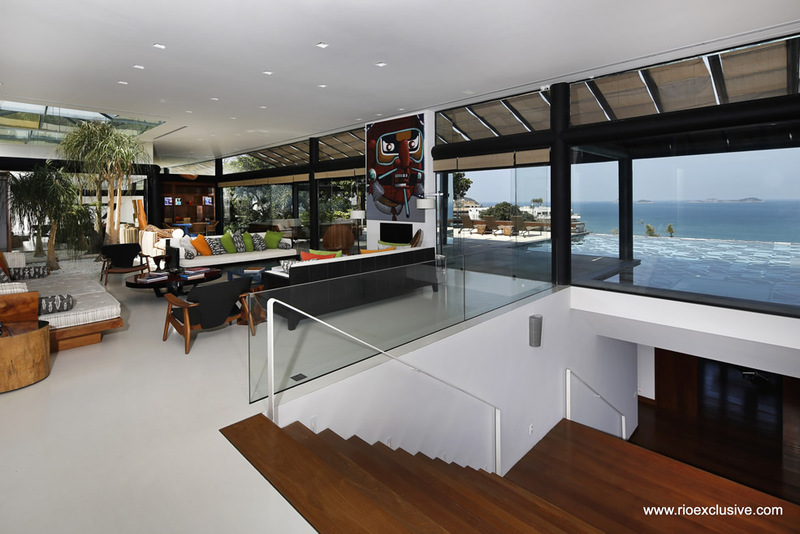 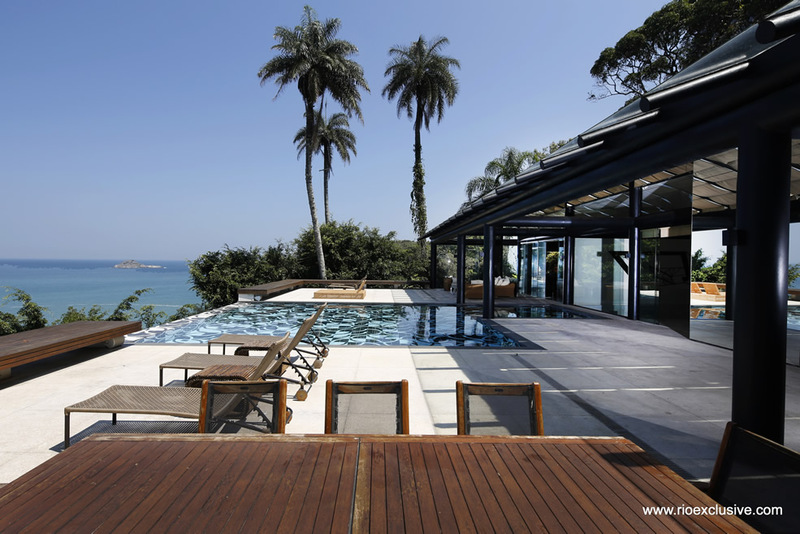 The entire villa focuses around the outdoor space - with a magnificent large terrace framing the beautiful infinity pool, finished with the artful black and white tile - a nod to the world-famous promenade of the Copacabana boardwalk. 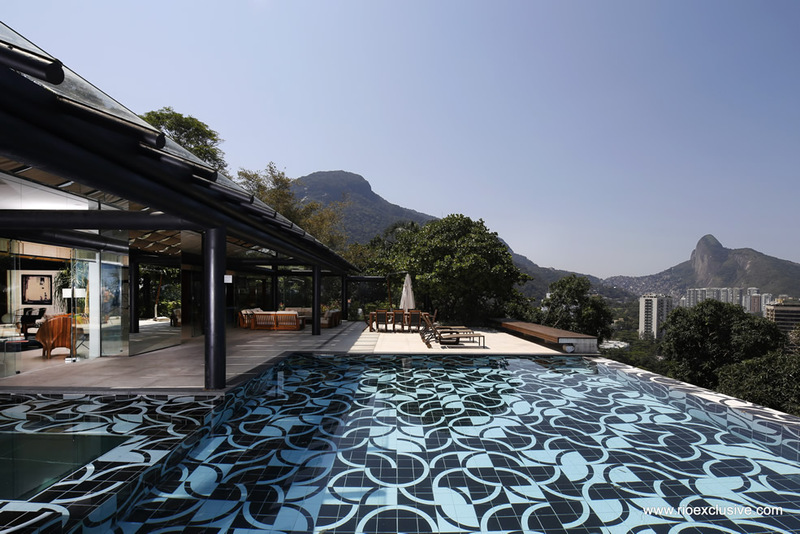 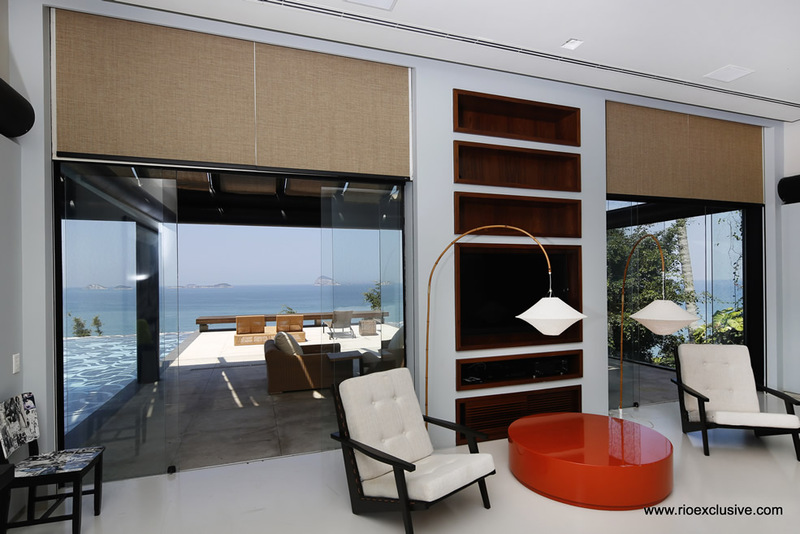 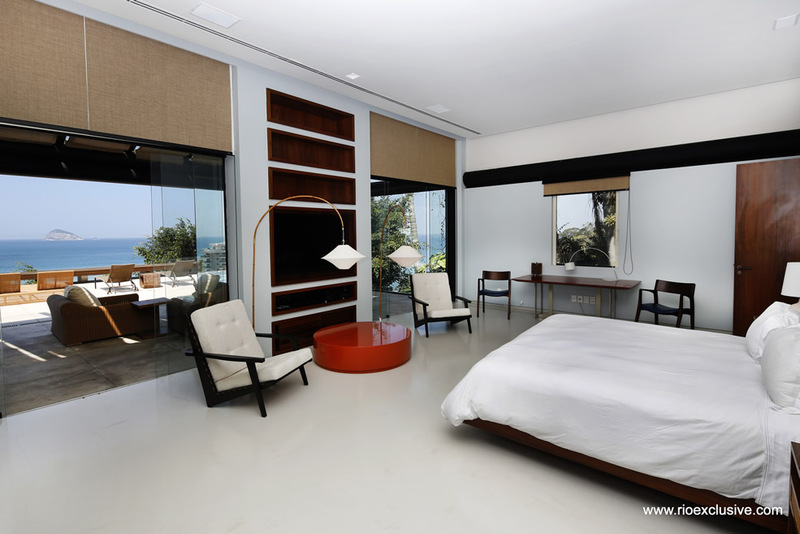 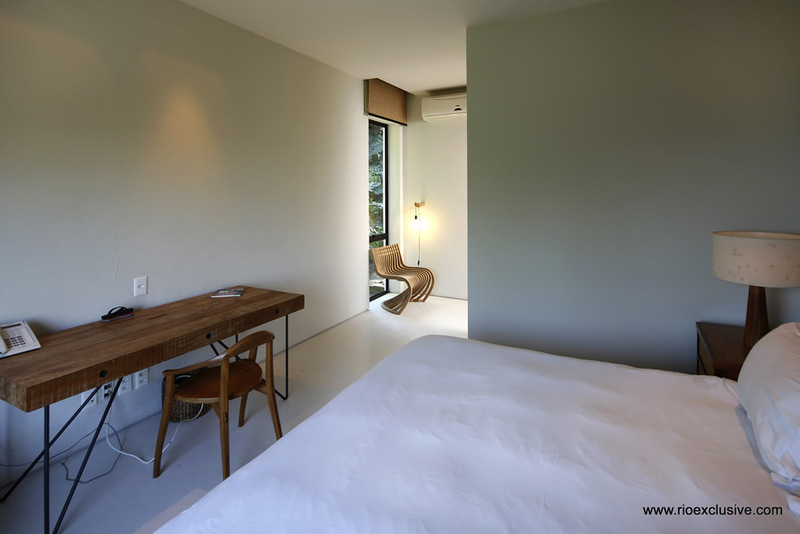 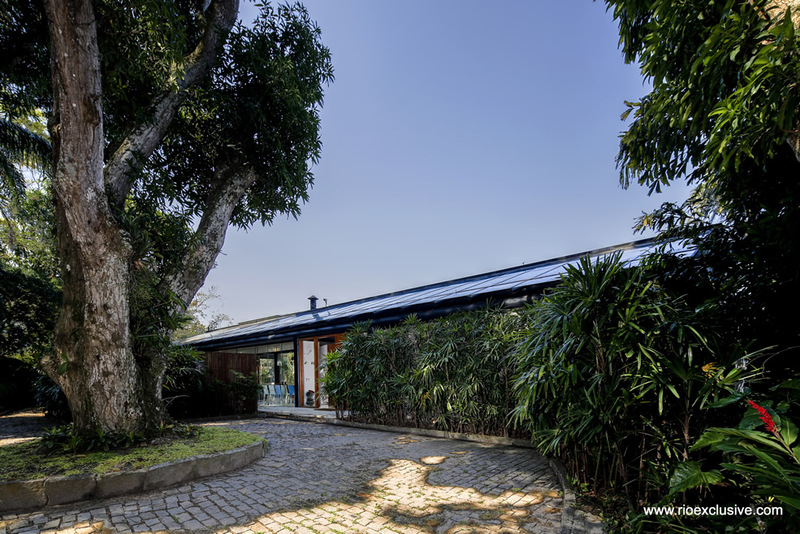 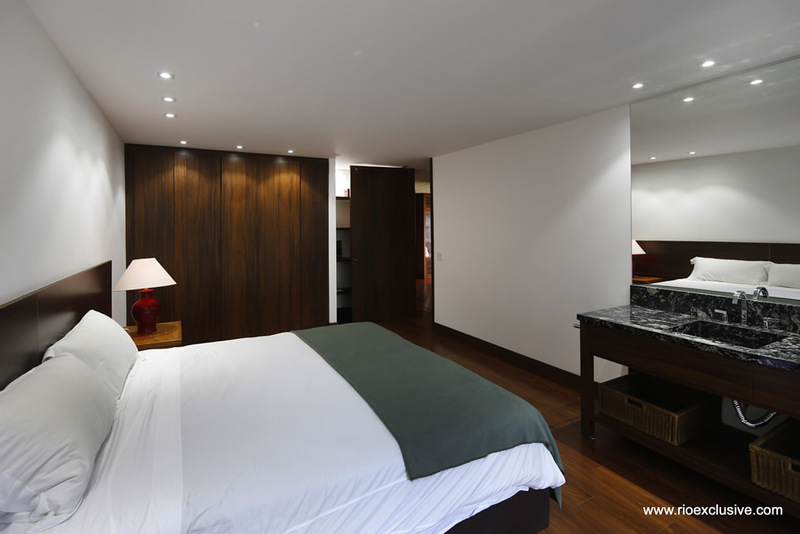 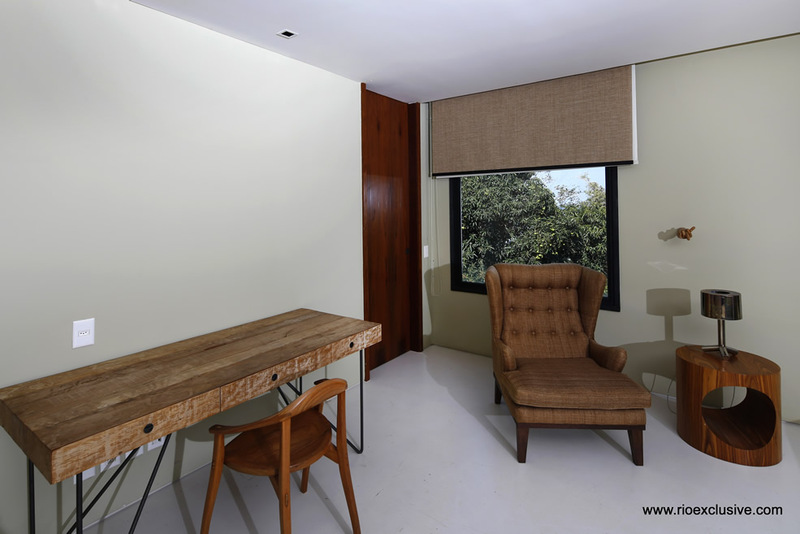 This luxury villa also boasts a wine cellar, a home theatre, a dressing room, and an office space if you're needing to work while in Rio, or just wish to have some privacy with the amenities of a true home. 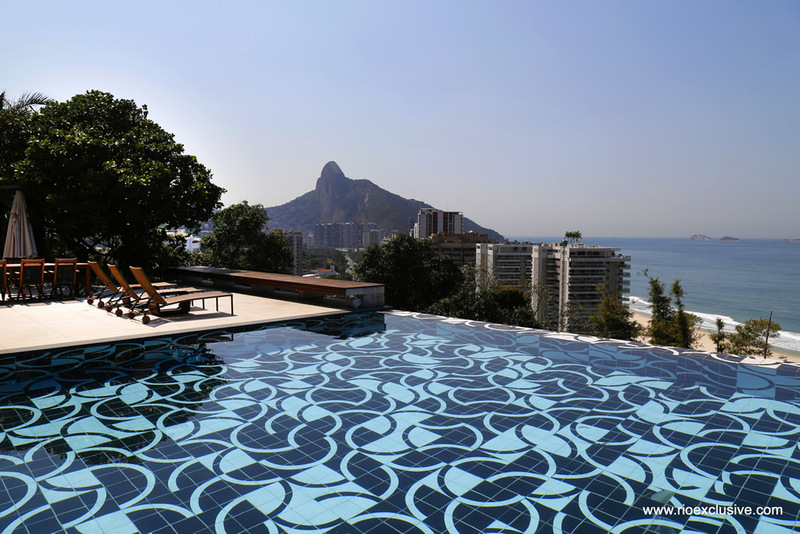 Along with the spacious terrace and it's plentiful chairs and loungers for relaxing, there is also a sauna and solarium, as well as a bbq to make the most of outdoor living in Rio. 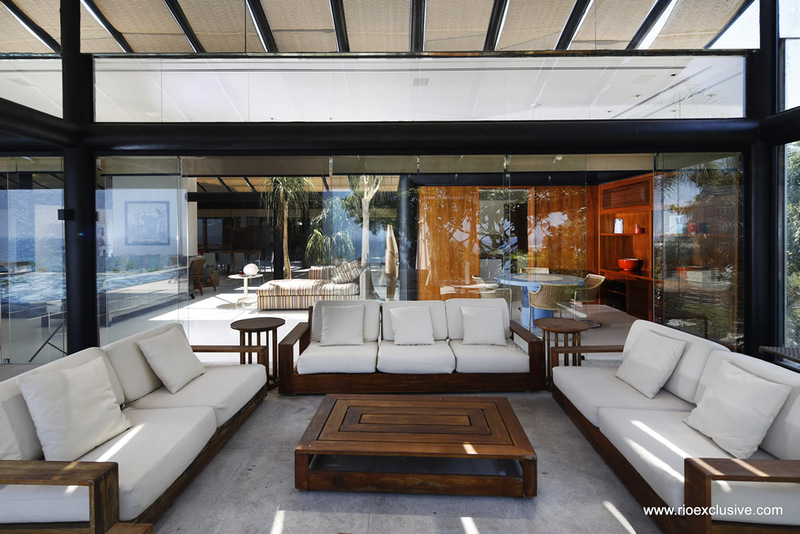 If you do wish to rent the villa for a special event, there is a garage as well as lots of space for alternative parking, if you have guests arriving for a wedding or another special event. 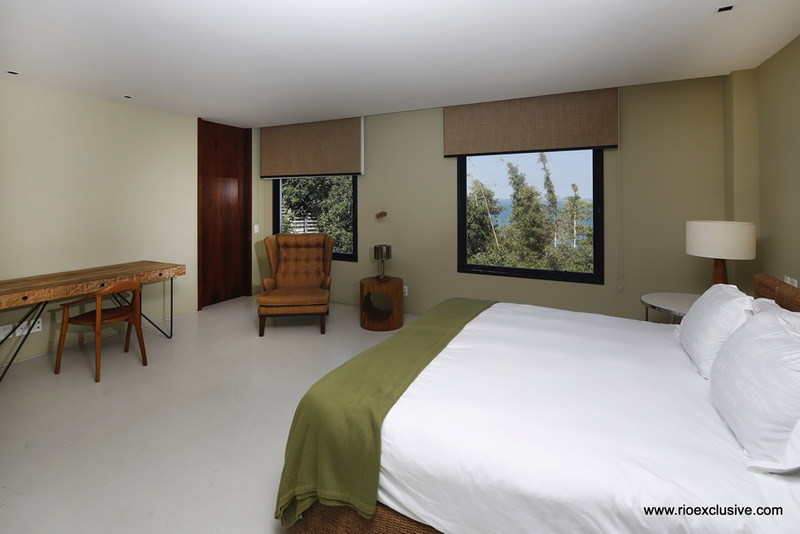 All bedrooms in this villa feature ocean views, as well as the living room and even the kitchen. 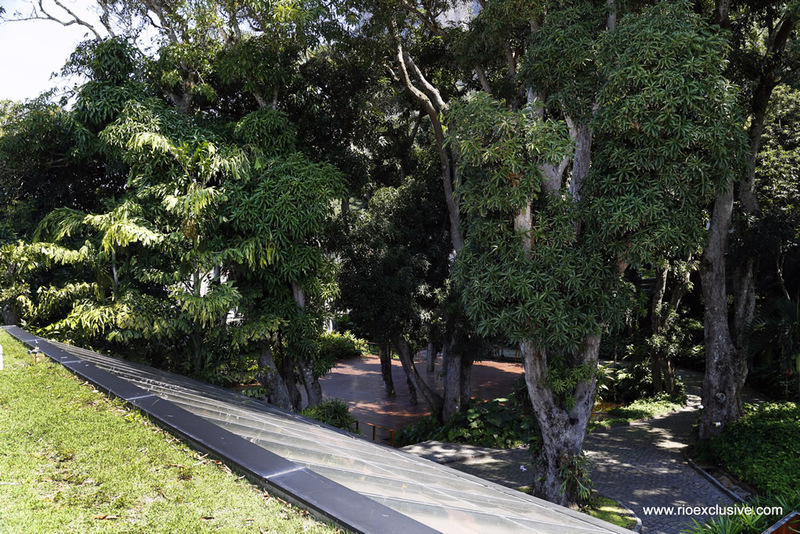 The land that the property sits upon is a grandiose 4000m2, and the sprawling estate of the property features manicured gardens with a fountain, palm trees, and other tropical vegetation. 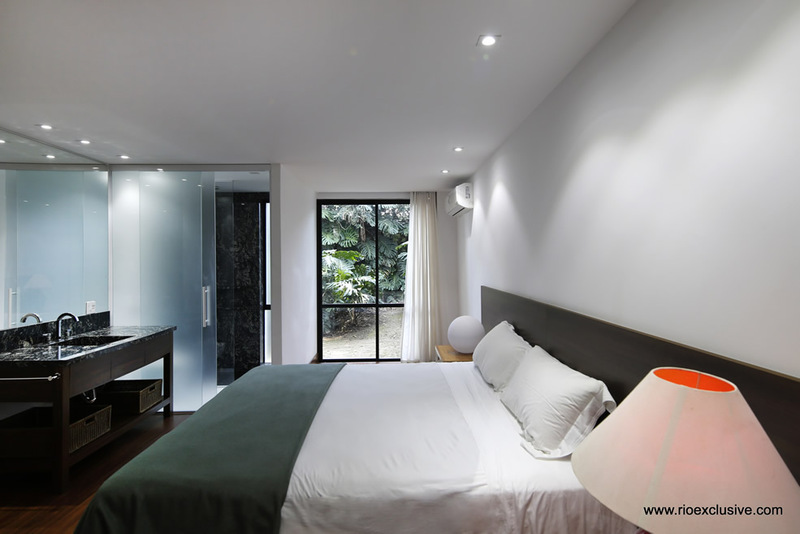 A perfect location for those needing plenty of space, wanting privacy and uniqueness, and settling for nothing less than an absolute luxury.